The Philosophy SRIG of NAfME is excited to announce a pre-conference for graduate students interested in discussing aspects of writing and publishing philosophy in the field of music education. Participants need not have prior formal experience writing philosophy. The pre-conference will take place ahead of the 2016 NAfME Biannual Research Conference in Atlanta and will be hosted by Georgia State University. There is no registration fee for participation in this conference. However, due to limits of space, the preconference will be limited to 20. If those who register exceed 20, a selection of participants will be chosen based on equal representation of schools, amount of time left in doctoral studies, and qualifications based on personal statement. 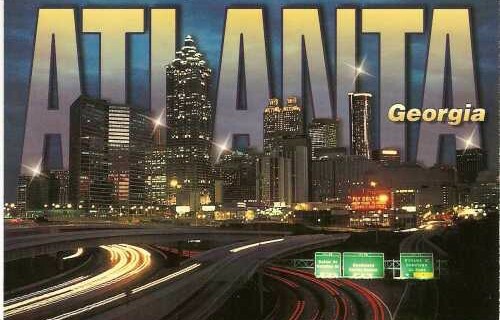 NAfME will hold its biennial conference March 17-19, 2016 in Atlanta, Georgia. This conference provides a forum for music education researchers, music teacher educators, music program leaders/music administrators/curriculum specialists, and graduate students in music education to encounter new, original, and high-quality research and pedagogical innovations that advance music education, thus shaping the future of the profession. The Philosophy SRIG will hold its meeting at this conference. Detailed information is now available regarding proposal submission guidelines. The online proposal process opens on June 15, 2015 and closes on October 1, 2015. Please visit Call for Proposal information for more details. Please note that submission process to the Philosophy SRIG (and all other SRIGs) is different from previous years. To have a presentation considered for the Philosophy SRIG, please submit a paper in the “general” web portal, and select “philosophy” as one of your keywords. Pack your bags for the 10th Conference of The International Society for the Philosophy of Music Education in Frankfurt am Main. The conference will take place in June, 2015 and keynotes include, Meinert A. Meyer (Professor Emeritus of Allgemeine Didaktik, University of Hamburg, Germany), Lauri Väkevä (Professor of Music Education at the Sibelius Academy), Elizabeth Gould (Professor of Music Education, University of Toronto). In addition, the PSRIG’s founding Chair and founding co-chair of ISPME, Estelle Jorgensen (Professor Emeritus, Indiana University) will give the introductory address. 1. Matthew Thibeault was acclaimed as Chair-Elect. Congratulations Matt! 2. The PSRIG had two well-attended sessions: “Bennett Reimer Remembered” and “Philosophy, Music, and the Common Core.” John Richmond and Peter Webster spoke elegantly and beautifully in remembrance of Bennett Reimer and Martina Vasil provided a touching clarinet rendition of Ravel’s Piece en forme de Habanera, a selection for which Bennett Reimer was listed as clarinet soloist on a 1955 tape from his days at University of Illinois. In the Common Core session, Lauren Richerme, Cathy Benedict, and Carlos Rodriguez provided contrasting, thought-provoking perspectives on education in an age of standards, assessment, and accountability. It has been an honor to serve the Philosophy SRIG the past two years. As we know, philosophy—and the humanities generally—seems to be less and less fashionable in education these days. It is my hope that more people in the profession will embrace philosophy—“thinking,” as Hannah Arendt would say—as an integral part of every conversation about music learning and teaching. Membership in the SRIG is important. Philosophy is not some esoteric, “impractical” exercise antithetical to music education; it is (or should be) central to everything we do. Although my official term concludes June 30th, the conference usually marks the traditional passing of the gavel. This will likely mark my final correspondence on behalf of the PSRIG. Please join me in welcoming Joe Abramo (joseph.abramo@uconn.edu) in his new role as Chair. Best wishes for the rest of the term. I look forward to seeing many of you in Germany for ISPME. Matthew D. Thibeault is currently Assistant Professor of Music Education and Assistant Professor of Curriculum and Instruction (Affiliate) at the University Of Illinois. During the 2012–2013 school year, he was a Faculty Fellow at the Illinois Program for Research in the Humanities. Thibeault was the 2013 recipient of the Outstanding Emerging Researcher Award presented by the Center for Music Education Research at the University of South Florida. He is also a founding member of the Homebrew Ukulele Union, a group that leads sing-along events throughout Illinois. Please forward any other nominations (or names of nominees) to me no later than this Friday, March 28. An opportunity to reflect on the life of the late Bennett Reimer. We stand at the precipice of the confluence of the Common Core State Standards and the National Core Arts Standards. This paper seeks to pursue, through discourse analysis and the work of Arendt, both the affordance of porosity for the NCAS and challenges of situating hope within such a juncture. In this philosophical inquiry, I problematize the emphasis on capitalist economics and standardization that pervades current American education policies by drawing on two aspects of contemporary cosmopolitan philosophy: universal concern and respect for difference. This presentation explains the traditional and current ideas that influence our concepts of curiosity, the function of curiosity as the impetus for meaningful musical experiences, and the implications for how we might organize music teaching and learning to maximize the development of curiosity for music. A reminder that March 1 is the deadline for the NAfME Research grant proposal. All information is copied below with the link to the NAfME webpage. The mission of the Philosophy SRIG is to provide opportunities for discussion and dissemination of conceptual, theoretical and practical research on or based upon philosophical parameters among music educators. It also intends to contribute to the profession by reaffirming the importance of studying, fostering and disseminating philosophical notions in music and education.